Kydex is an extremely durable acrylic/PVC alloy, created and distributed from the Kleerdex Corporation. Kydex is extruded in a wide range of colors, patterns, textures, thickness and grades to optimize long-term performance, appearance, and cost-effectiveness. No other thermoplastic stands up to impact, scratches, and gouging like Kydex. It offers notched Izod Impact resistance to 18 ft. lbs./in. (953 J/m) and is able to withstand various levels of abuse. Due to its high degree of toughness and resilience, Kydex can also be stretched at room temperature to twice its original dimension without breaking. Kydex gun holsters are easier to clean and keep clean. If your holster becomes dirty it can be washed with soap and water. Detergents may be applied to it. Gun cleaning chemicals or lubricants will not affect the Kydex material. Kydex gun holsters will not collapse when you draw your gun. Kydex gun holsters are less expensive. 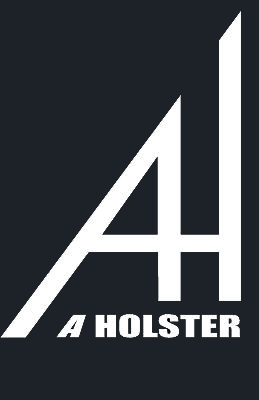 There are some very specialized and well crafted Custom Kydex Holsters that seem pricey, but as a generalization Kydex holsters are less expensive to purchase. Kydex gun holsters are fast on the draw when comparing them with conventional holsters. In most IPSC / IDPA competitions, the fastest competitors are usually wearing Kydex. Kydex gun holsters will eventually wear on your firearms finish. On a positive note, since the only retention contact location on the holsters is around the trigger guard, you will not have the same type of barrel wear that you get with conventional leather or nylon holsters.